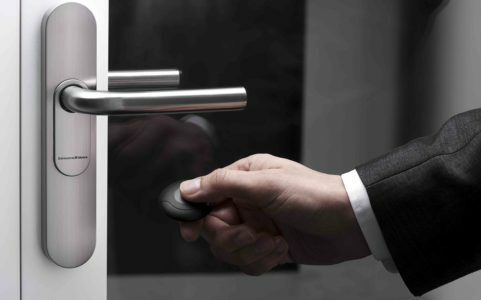 The smart Handle combines intelligent Access Control with elegant and ergonomic design. The Smart Handle 3062 was developed specifically for the requirements of the hospitality industry and care homes. The Smart Reader communicates via a wireless link with digital locking and access control system 3060. It can control where and when up to 64,000 users are granted to have access. It can also operate online via a direct radio-based networked solution or alternatively integrated into a G2 based virtual SimonsVoss network.